Great shadow. Must try to take a nice shadow shot soon. Some great ones about as sun so low in the sky. Nice clear shadow. They must be confusing to kids though. 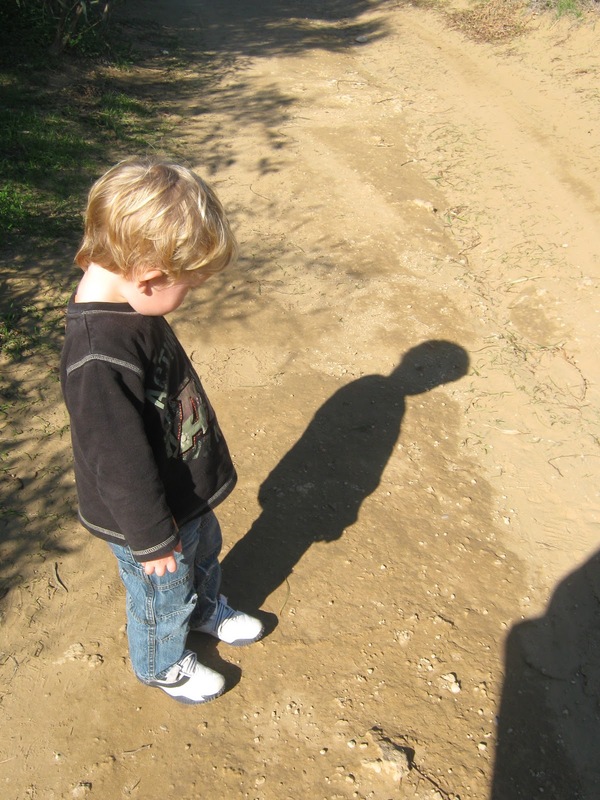 Definitely a case of 'Me and my Shadow' - a lovely photo. "hi there, shadow", it looks a lot sunnier and brighter where you are than here. Brrrr! Gorgeous shadow picture. Love how kids are so mesmerised by them. He looks so grown-up in this picture! I remember when The Boy saw his shadow for the first time, he was petrified by it! Leo thinks it's very funny to jump and stamp on my shadow!